Buzzketball hosts Gardner Webb in the first game of the year for Hokies, while the Bulldogs come in having faced VCU on Tuesday evening. Hard to believe but this is the beginning of year five for Buzz Williams and the Hokies. The Bulldogs will come in with five fresh faces to their roster but with enough experienced talent returning to give the Hokies a challenge in this contest. The rosters size wise are very similar with neither team having a true dominant "Big Man", as the tallest Bulldog comes in at 6'9" and 250 lbs and he is a freshmen so its yet to be seen how much playing time he will receive. Gardner Webb starts this season having finished 14-18 last year, where they were a terrible 3-13 on the road but 11-2 at home. 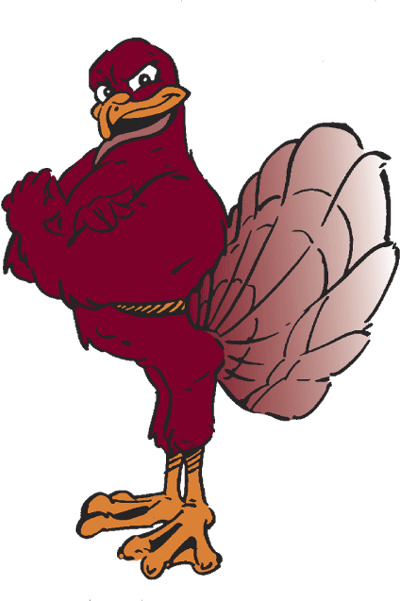 The only game between the Hokies and Gardner Webb was back in 2008 that saw a Hokies squad struggle to pull out a 65-62 victory. The Bulldogs are coached by Tim Craft, in his sixth year at the helm of Gardner Webb. In six years, his teams have finished with a winning record in all but this last season. They have one CBI appearance in 2015 when they won 20 games for the first and only time under Craft. Craft is 88-78 at Gardner Webb, which has been his only head coaching position. So far this season the Bulldogs are 0-1 after a loss to VCU on the 6th 69-57. VCU dominated the first half, closing with an 18-4 run but Gardner Webb put up a fight in the second half, closing to within five points but couldn't sustain it in the closing minutes which allowed the Rams to pull away. Defensively, the Bulldogs use primarily zone defensive formations, especially on the perimeter. They are very good at limiting opponents made three pointers, holding VCU to 31.00012They are very aggressive and take risks to force turnovers and keep offenses off balance, averaging seven steals per game last season. The Bulldogs struggled last season though against transition offenses especially on turnovers, where opponents averaged 15.5 ppg, which a big plus in Tech's favor for this contest if those struggles continue. 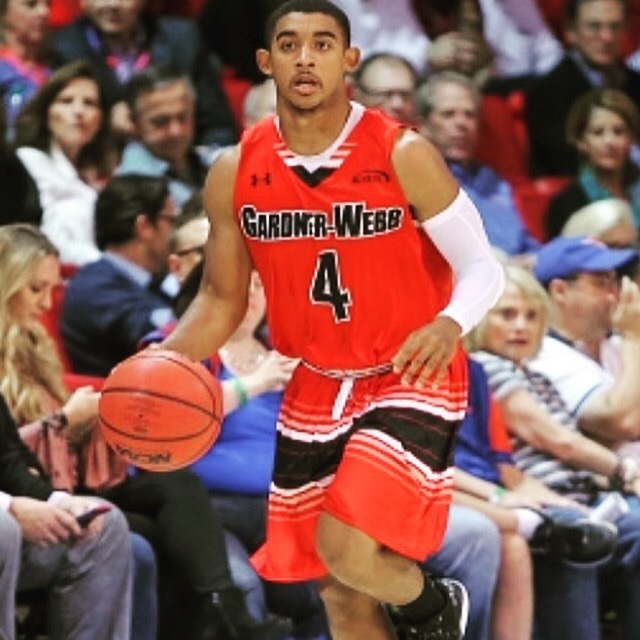 Offensively, Gardner Webb under Craft has changed offenses quite often mainly based on returning talent, so not sure what to expect yet from this team. Historically they have not focused on perimeter shooting, relying more on their ability to get to the basket. Last season they did average about 21 three point attempts per game, while struggling to shoot 34%. This trend seemed to continue into their game against VCU, where they managed only 31.3% on 16 attempts. Senior David Efianayi (#11), 6'2, 185 lbs, is a four year starter for the Bulldogs who scored 14 points, had 5 rebounds and 3 assists. Last season he finished with 17.5 PPG, 3.6 RPG, 2.5 APG and 1.3 SPG. He had a slow start against the high intensity VCU defense, shooting 36% inside and 40% outside, while hitting 80% if his free throws. Jose Perez, (#5), 6'5, 195 Lbs started his freshmen season off extremely well in all things other than perimeter shooting. He scored 16 PPG to lead the Bulldogs in scoring, grabbed 5 rebounds and also had an assist. He shot 55% from the floor but only 25% from outside in the first game. He has a great first step on the dribble. Nate Johnson (#10), 6'4, 180 Lbs Sophomore Guard put up 5 points, but otherwise had little impact on the game in almost 30 minutes of floortime. He shot 33% from the field. Last year, he scored 3.8 ppg, had 1.3 RPG, and 1.3 APG in about 11 minutes a game. His season was also limited by injury last year to only 13 games. Christian Turner (#4) 5'10, 180 Lbs Junior Guard scored 4 points, had one rebound and 6 assists as the primary point guard for this team. His time on the floor has increased substantially each season, culminating in a starting spot this season. Definitely not a prolific scorer. DJ Laster, (#25) 6'6, 230 lbs Senior Forward put up 12 points, 5 rebounds and had no assists. Struggled against the bigger players for VCU so Blackshear needs to take advantage of the size discrepancy to score down low. Laster also seemed to have a habit of reaching in at the wrong time against VCU so ended up with four fouls. Getting him out of the game could be an early turning point. It would likely force the Bulldogs to a smaller lineup. Eric Jamison, (#2), 6'6, 185 Lbs Junior Forward scored 2, grabbed 4 rebounds and had an assist in 15 minutes of game time. That's about the same contributions he made last year. Ludovic Dufeal, (#24), 6'8, 185 Lbs Freshman Forward, hit one free throw and had one rebound but also contributed 2 blocks and a steal in about 15 minutes. Dufeal will likely see his role grow as he becomes more comfortable in the offense but as of now doesn't pose a major threat to put up big numbers. What to expect from Gardner Webb? The Bulldogs rely heavily on three people to score. In the game against VCU, open shooters passed to get the ball to one of the trio that finished in double digits scoring wise. Laster, Efianayi, and Perez accounted for 73% of the Bulldogs scoring against VCU. The Bulldogs already struggled against the size of VCU so that likely continues against Blackshear and Tech's bigger bodied wing type players. If the Hokies are able to exploit this early in the lane than it should open up the outside for corner threes and the like. 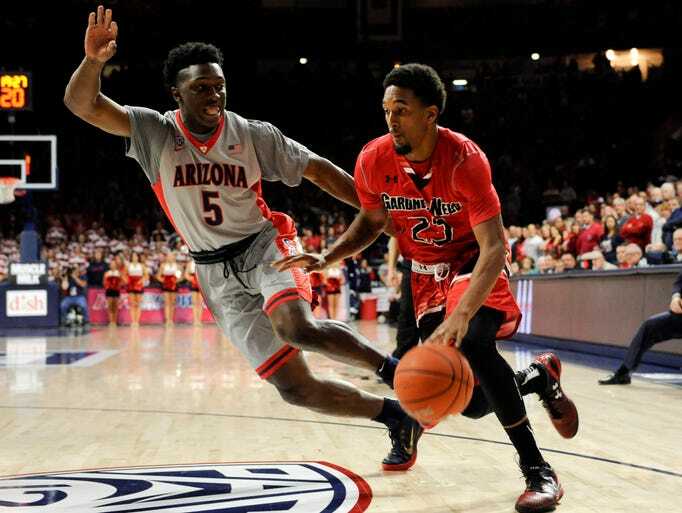 Tech needs to keep a high paced tempo and take advantage of their size down low early and often. Their opponent has already shown it can give up big runs and also scrap back against big runs. The Hokies need to make sure the first happens and lessen the effects of the second. Keeping the tempo moving though is also critical. The Hokies need to force the issue inside. Robinson should be able to cause all kinds of havoc foul wise using his speed to drive to the basket. 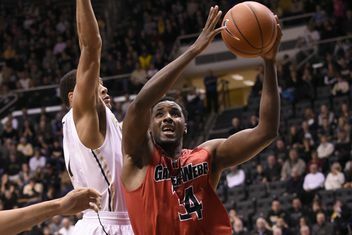 Gardner Webb struggled against dribble penetration from VCU. Blackshear on the blocks will consolidate naturally draw the Bulldogs defense, allowing good open looks outside while also giving Robinson secondary dump offs down low if he cant get to the basket. Establish a defensive identity. Make it clear to everyone that faces the Hokies that there are no possessions off and that opponents will have to earn every basket. Increase the pressure on the Bulldogs and start counting the turnovers. The top three players for the Bulldogs gave up a combined 16 turnovers in their game against VCU. This led to quite a few transition baskets for the Rams. Hitting perimeter shots will be another key factor. Buzz needs Hill to reappear from his disappearing act last season and really help the Hokies now that Clarke is indefinitely suspended. Outlaw and Nickiel Walker Alexander showing early consistency would be a big help as well. Hopefully Landers Nolley's Eligibility issue is cleared up and we get to see him in this game. If not, the Hokies will rely that much more heavily on Blackshear and Horne. Play Smart basketball, keep possession of the ball, continue to move on the offensive end, don't slow the pace. Expect to see a fairly clean first half that allows the Hokies to get out to a big lead followed by a more learning curve second half as Buzz begins to work in other players to the lineup outside of Robinson, Blackshear, NAW, Hill and Outlaw. The ideal situation is that they wear down Gardner Webb early so they have the opportunity to get some of the younger players experience. This wont be like last season where the Hokies stormed out of the gate with 96 points or more in five of their first six games. The competition is not necessarily that much better but are less suited to allow the Hokies that kind of outburst. Look for the Hokies to aim for the 80 point mark. If they get there, then victory is almost certain. Tech wins 84-63, by pulling away with the outside shot. I expect to be surprised by a key role player like Kabongo or Wilkins coming through big and Robinson will likely be the key to a successful finish in this one. Hokies just have better talent at all five spots than Gardner Webb. Ahhh. The first game preview thread by Rob. It really feels like Buzzketball season has now officially started! ooo I missed these. Well done as always. Thanks for your work during Buzzketball season! Always great to read. NAW projected as pick #23. Game time on the ACC Network. Comcast much like football is carrying these games live. Blackshear opens scoring with bucket amd one. Blackshear has a zorro mask on so must have hurt his face in practice or something. Guys playing defense with real high energy but having trouble getting the shots to fall. Gardner Webb keeps giving the ball back though to help out. lol andrew just said dark knight and mike said zorro on the broadcast. They must be reading this thread. Boys seemed to have settled down after the under 16 minute timeout. Lot of ticky tack whistles going both ways. Five offensive fouls already called in this one. Seems even the officials have to get their feet under them. Loving the defensive intensity so far! We're getting some pretty good looks on offense, but they just aren't falling. Blackshear apparently broke his nose abainst Liberty. Mask actually helped him hit the outside shot because we all know we dont want him shooting that shot most of the season. Wilkins with two early baskets. Thats good to see. How was Wilkins not even rated coming out of high school? He's looking pretty damn smooth for a freshman. He was out of shape. He's dropped a lot of weight. If you look at his tape from high school, you can see the talent. You see early on, he's a bit slow on the defensive end. He'll struggle to guard P5 type players but he can become an elite level scorer. Is Nolley still ineligible? Interesting we're seeing Wilkins instead. Berman is on only beat reporter. We will never know. Still ineligible according to my source. They were hoping it would be cleared up today but it didn't happen before tip off. Shooting hasn't been spectacular tonight but holy defense batman! I tuned on the game expecting to see some Nolley. Whiskey tango...? Lots and lots of ticky fouls negating drained shots from the outside. We've had at least 10 points wiped away after the ball was released so far. Whistles on the offensive end are getting ridiculous. Must be a point of emphasis from the officials bosses. Wilkins leading the Hokies in scoring with 10 now. Yeah, something is definitely a little off. Sounds like they're making a point of calling something we're doing, because its just happening far too often to be mindless play. Probably a reclassification of the moving screen to something that wasn't emphasized in preseason practice. ok... probably would be a good idea to stop fouling the 3 point shot. That's at least 2 this half, and they weren't even debatable, ran right through the shooter. My hot take last in the first is I think we're a carbon copy of last year but more talented (just like everyone thought). We're going to rely on defensive, athletic stands, and outside shooting. It'll make us a little more dangerous down the stretch and a little less vulnerable. I am liking our positioning on the defensive boards. If we can keep this up, it'll really help negate a lot of the issues we were expecting after Clarke was suspended. I see the trend of opponent halftime buzzer beaters is going to continue into this season. Horne with four offensive fouls now and seemingly away from the ball by quite a bit. I didnt read anything from NCAA or ACC officials about a rule change or increased focus on screens and fighting for balls in the air but there must have been something done because by my count there were 12 or 13 offensive fouls in that half between both squads. These refs are making the game about themselves. I counted at least 3 plays with a ticky-tack offensive foul that wiped a 3 pointer off the board. Damn Wilkins!!! He a big boy too! They really need to get back to the defensive intensity they started this game with or they are ripe to get beat. Got a little laissez faire after those first ten minutes and Gardner Webb is gaining confidence with each trip down the floor. Btw, ltrepeter, are you not gonna do a post exhibition game review from the one against Liberty?? There was a different post game writeup done. Henry kind of took over the post game stuff last season amd did a great job so hopefully that continues. If you have any specific questions I would be happy to answer them. The time involved is hard to carve out while working the day job, running an internet sales business especially as I get a bigger footprint as an Amazon reseller, being a dad to my two monkeys, honey do lists etc. Horne fouling out with over 11 minutes to go is not good. He will need to tighten that up. A night that Horne is probably going to want to forget. So true! Buzz will find a lot of teaching moments in the teams film review. looks like he is trying to be the team scoring leader. blackshear with 4 fouls with over 8 minutes to go. that last one out at the top of the key. he did that a lot last year. I wish he wouldn't play defense out that far. really liking what I see out of Wilkins so far. Wilkins let alone the potential for Nolley seems to make Clarke a moot point so far. 18 points for Wilkins now is amazing. Missed the rim, missed the box on the backboard. Followed by Outlaw and the same. Just ugly. The effort all around, especially on defense, is 800% higher this year. Really awesome to see the extra hustle from all of the guys. So they are 800% committed, where have I seen that before?! Better defensive effort than I expected. Not sure what Buzz does to clean up the offensive foul calls especially if that is going to be a point of emphasis for officials. Need some work focusing on closing out especially from the foul line. Pretty incredible debut for Wilkins and NAW had a quiet killer performance. Still concerned how this team will fair against teams with any size. Just has the potential to go bad fast especially if they dont clean up the foul issues. Very fascinating post game interview with Buzz for a game almost won by 30. According to him, this team is "nowhere good as we should be." and "we better be a lot better by then (The Charleston Classic)." I'm 800 1000% okay with this. I thought the play calling was suspect. Thank goodness there's no third quarter. 1-0. not real pretty, but it's a W. lots to work on before Charleston. Wilkins is very exciting. He'll have to work on his defense for when we play better competition, but he can shoot. Also, if Blackshear continues to wear the black mask for a while, can we nickname him "Scary Kerry?" Thought it was a decent first game. Lots to improve on but that's s good thing. Hopefully the roster gets a shot in the arm soon. I've been avoiding the boards for a few days - what's Clark's status? Clarke has no status for the forseeable future so it's probably not worth worrying about until news breaks.